Our landlord friend, Marjorie, has a decision to make. She’s been advertising her rental property, and so far, the prospective tenants just aren’t up to her standards. Screening has revealed poor credit histories, previous evictions, and less-than-stellar job histories on most of the applicants; except one, who has a sound job and credit history and raves from former landlords. The only problem? The “perfect tenant” doesn’t want to sign a one-year lease. Marjorie first thought of a six-month lease, with an option to go month-to-month after. Marjorie knows that a month-to-month lease is a legal contract, and that having it written by a professional is vital in order to provide her the best possible protection. She understands that at the end of any month, the tenant can leave, or she can choose not to renew the lease. If neither side objects, the lease renews at the end of each month. But Marjorie’s not sure about the pros and cons of a month-to-month lease. Would it be better to compromise for this great tenant, or keep looking for someone who is willing to enter into the one-year agreement Marjorie prefers? You can attract a larger pool of good tenants who can’t sign longer agreements based on a job situation, house sale, or other legitimate reasons. If you are in a college town or popular vacation spot, you can offer short-term leases to vacationers and students. If the “perfect tenant” turns out to be noisy, or breaks any other rules, you only have to put up with them for one month. You can charge a premium rent for the higher risk and convenience of a month-to-month agreement. If the tenant is late paying rent, it’s easier to evict. You can catch property damage before it gets out of hand. You can raise the rent as you wish. If the tenant turns out to be a good fit, you can always renegotiate a longer lease. The tenant can leave at the end of any month, usually giving a 30-day notice. This can interrupt cash flow and cost you more time and money to replace them. That’s really it? Only one “con?” Yes—when thinking about the flexibility of a month-to month lease, the only potential problem for the landlord is replacing the tenant after a shorter-than-usual period of time. But remember, most people don’t like to move, so it’s not likely that your new tenant will be doing so right away. In the end, Marjorie decided to go with the month-to-month lease. She added a guarantee that the rent would not increase for six months, which made her new tenant even happier. Marjorie is one smart landlord! 1. Attract attention. Make your newspaper ad stand out by adding a border or bold headline. On Craigslist, the descriptor is short, so use creative language: “Amazing house in Oak Tree neighborhood,” “Best $500 apartment in town,” or “Hardwood floors, 3BR, super-quiet” are all ways to capture attention quickly. 2. Be clear. At a minimum, list the number of bedrooms and baths, the neighborhood, parking information, and the monthly rent. 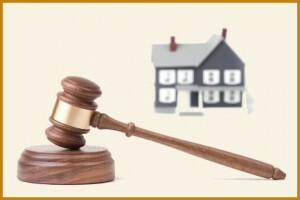 State that you check previous landlords, criminal background, and credit history. You can eliminate unqualified tenants easily with a well-worded ad. 3. Use photos. A picture is truly worth a thousand words. A photo can instantly tell a prospective tenant whether your rental property is the right place for them. 4. Don’t skip the details. Do you include utilities with the rent? Say so! Are you okay with pets? Put it in the ad. Are you completely against smoking in your rental home? Tell us! Tell readers about the schools, whether a grocery store is close by, and all about the beautiful landscaping. Brag about your place, and you’ll get enthusiastic responses. You want the most qualified tenants to act upon finding your ad. 5. Make it easy to respond. Put your primary phone number in the ad, as well as an email address. For Craigslist ads, all responses will be through the site’s secure email unless you add a telephone number in the ad. 6. State a good time to call. You can certainly list what time you will accept telephone calls from prospective tenants. And if a call is made outside that time, the caller either didn’t notice, or didn’t care that you requested otherwise. It’s a good screening mechanism to find the tenants you’ll get along with best. An effective ad is the first step in prescreening tenants. You can eliminate the ones you don’t want and attract the ones you do by being clear, descriptive, and detailed in your newspaper or online For Rent ad. If you’re a landlord, we hope you’ve already established solid policies and procedures for collecting rent and shared them with your tenants—in writing. If not, go do that immediately and come back when you’re through! For the rest of you, here are a few pointers for collecting rent that may help keep your blood pressure—and your bottom line—at a healthy level. 1. Do not allow multiple checks: Roommates might prefer to pay you separately for their share of the rent. The trouble begins when someone’s division is wrong or not all roommates pay promptly. It is not your responsibility to track down multiple tenants for rent on the same unit. Require them to figure out who owes whom and to present one check for the rent. 2. Remind tenants when rent is due: You could provide monthly invoices or reminders, or even a rent payment coupon book to help your tenants keep track of when their rent is due. For routinely slow payers, a phone call five days before rent is due is reasonable. 3. Contact tenants immediately if rent is late: Stay calm and businesslike, but do not hesitate to call tenants about late payments. Determine the cause of the problem, and inform them of their options. 4. Avoid accepting partial payments: If an excellent tenant requests a chance to pay in part, you can consider allowing this, but make them aware it is a one-time deal. And then, present the tenant with paperwork to sign: either an agreement to pay the rest by a specific date or a legal rent demand notice. And remember that in most states, accepting partial payments voids any prior legal notices for nonpayment of rent. 5. Offer small incentives for prompt payments: It may seem like a stretch in a down economy, but times like this are perfect for rewarding your tenants who pay on time. Purchase pizza or movie rental gift certificates and mail or hand them to your prompt paying tenants. Even small gestures encourage more good behavior. 6. Don’t consider a cash discount: Rather than charging a late fee, some landlords set the rent higher, and then offer a discount to entice tenants to pay rent on time. The courts have historically frowned upon this. If you want tenants who pay on time, then prescreening tenants is a better practice. 7. Don’t redeposit bad checks: If a tenant bounces a check, it is best to require a cashier’s check or money order to replace it. (And for all subsequent rent checks from that tenant.) But if they swear the bad check is now good, rather than re-depositing it, go to the tenant’s bank and either cash it or have them certify it so you can deposit it into your account without worry. 8. Don’t waive late charges: There is no good way to bend the rules. You have established policies to protect yourself from lawsuits—so follow them. Treating a tenant more favorably than others can lead to accusations of discrimination. Waiving late charges will mean you cannot reasonably begin charging them again. 9. Keep late charges and returned check charges reasonable: Many states have limits on how much a landlord can charge for late fees. Check out your local laws, too. Returned check fees should be based on what your bank charges you, plus enough to reimburse your time to deal with it. And remember, if your tenant makes good on a bounced check after your standard grace period, they are responsible for late fees as well. 10. Keep good records: If your tenants pay by mail, record the date you receive their checks. If they pay in person, give them a receipt. If you receive a rent payment by mail after the due date, keep the envelope’s postmark in case your tenant disputes a late charge. If you are a landlord, reducing risk should be an ongoing part of your business. Nobody likes to think about lawsuits and liability insurance, but the facts are that rental property owners are sued every day. You cannot control every liability that comes with rental property ownership, but you can minimize risk with awareness and planning. Smart landlords know that keeping their properties in good repair and prescreening tenants are two ways to reduce the liability of owning income property. But there are other areas you may not be aware of that could be putting you at risk. Protect yourself and your assets by controlling your actions in these areas. Hiring workers: Both federal and state government entities actively search for employers who don’t properly document their employees. Landlords who hire workers fitting the description of “employee,” who then pay them in cash and do not withhold proper taxes, unemployment and insurance, are breaking the law. Employers who pay “off the books” are subject to back taxes and penalties if they get caught—and the IRS and state agencies are definitely on the lookout for these folks. Your best bet is to hire contractors and repair people who are self-employed, with their own corporations. Keep their business cards and check out their form of ownership. Require proof of insurance, too. Discrimination in renting: Federal laws make it illegal to discriminate when renting on the basis of race, color, religion, nationality, familial status, age, gender, and disabled status. Your local and state laws may protect additional groups. Even if you do not intend to discriminate, you must be aware of how the laws affect your advertising and rental procedures. For example, you should avoid advertising your property as being close to a church, because you could be sending the message that you prefer churchgoing tenants. You cannot advertise that your property is “perfect for a nice family,” because you could be seen as discriminating against single people. Avoid asking personal questions as a rule. You cannot rent based on tenants’ marital status, whether or not they have children, or how they choose to worship—or not. We have covered renting to persons with disabilities in this blog. But while most landlords know that a person in a wheelchair must be accommodated, keep in mind that it is discriminatory to ask about the disability. All disabilities—even those that are not obvious—are protected under the law. Knowing how you must comply and keeping good records are both vital to all landlords. Improper legal documentation: It may be tempting to use real estate forms that you buy from an office supply store or borrow from a friend, but it’s in your best interests to cover yourself thoroughly before signing any legal documents. Sure, you can download forms from the internet, but have them reviewed by a real estate attorney before you start using them for your tenants. Be sure to periodically update your forms, too. Outdated forms could put you at risk if new housing laws have been passed. Plus, you may be asking tenants to sign agreements that are unenforceable. Respecting tenants’ rights to privacy: Landlords must avoid entering properties without proper notice. In most states, it is not okay to stop by unannounced to check on things or make repairs. It’s not worth it if this type of action results in a tenant being released from the rental agreement or is awarded damages. Reducing your liability and staying out of court will definitely increase your bottom line! So, keep up with changing laws, stay informed, and always ask yourself if there is a better way to do things. The good news is that at least as far as Google is concerned, far more people express love than hate for their landlords. 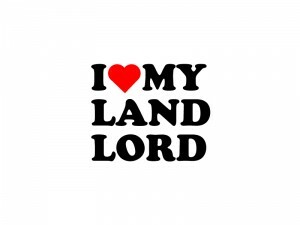 A Google search for “love my landlord” yields 432,000 results, while “hate my landlord” yields a mere 163,000 results. There’s absolutely nothing scientific about this statistic, but if you’re a landlord, maybe it will make you feel better about yourself! Combing through hundreds of websites, we compiled our list of popular rants and raves. Maybe it will give you ideas about what to do, and maybe more importantly, what not to do when dealing with your tenants! The raves seem pretty simple, don’t they?. Tenants want good communication and to feel respected. They also like to be able to keep pets and to keep renting without rent increases! Of course, going a little beyond the expected is always appreciated. Now for the rants. . .
We did find a few more rants than raves. In fact, much of what is out there is not suitable for this blog! Landlords who have good relationships with their tenants would probably never dream of some of these behaviors. Maintaining rental property can be a big challenge for landlords. 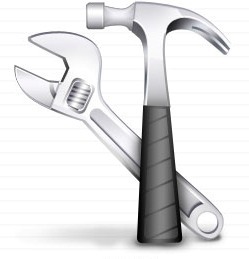 There is always preventative maintenance that should be performed to keep your rental units in top shape. And then there are the emergency repairs that require your attention now. If everyone around you clears the room when you start handling power tools, you should definitely hire an expert to help you with rental property maintenance. Even if you consider yourself reasonably handy, an endless to-do list probably means you need some help. Sure, you can save money by performing your own repairs and maintenance, but is that the best use of your time? Finding the right balance between hiring expert help and breaking the bank isn’t easy. Consider these tips for finding and hiring a professional to help you keep your income property safe and functioning properly. First, determine whether you need to hire out for individual projects, or if you’d rather enter into a longer-term contract for regular maintenance and repairs. Research your local builder and remodeler organizations—they’re a great source for contractors and repair people. If you contact companies who cannot help you—for example, the work you need is below their ideal level—ask for a referral to an individuals or subcontractors with excellent track records and experience in rental property maintenance and repair. Once you have contacted several individual contractors or repair people, conduct your due diligence: make certain they have all the required licenses and insurance in place, meet with them to ensure you can establish a good rapport, and ask for references. Your state licensing entity can provide current insurance and bond information. And don’t neglect to contact their references! Set your job specifications and obtain proposals from each contractor. Award the project based on pricing, experience level, and references, keeping in mind the lowest price may not be the best choice. Work with the firm or individual you feel most comfortable with. Be sure you have a clear understanding about payments and contract details. Do not fall prey to a contractor who requests payment in full before the job begins. Deposits and progress billing are reasonable, depending on the size of the job. You should withhold at least 10% of the contract price until the entire job is completed to your satisfaction and specifications. And make sure they clean up the job site, too! And finally, be sure to properly supervise your repair and maintenance people. Do not allow anyone to have unlimited, unsupervised access to your rental property. For more security, consider background screening checks on any individuals you hire to perform work on your behalf. Mitigate your liability and keep your tenants safe by knowing exactly who you are hiring.